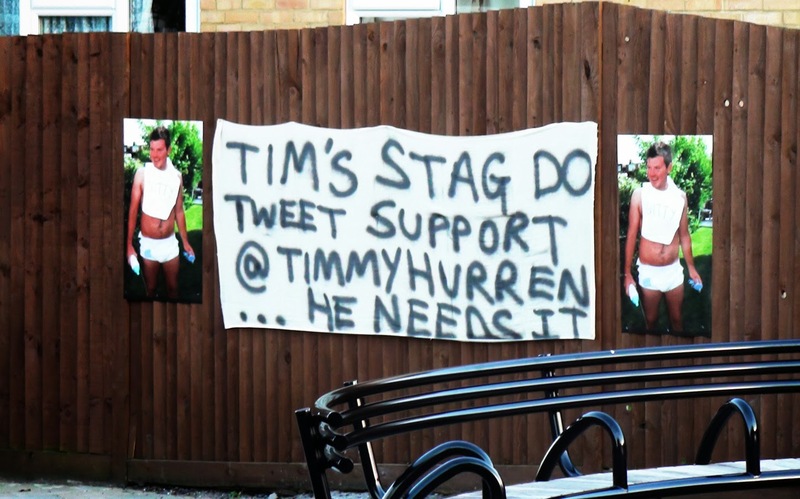 On Friday, at the corner of Balmoral Road and the top of Central Road (in fact I believe it may have just about become Cheam Common Road at that point), was a large hand made advertisement for Tim's Stag Do, inviting passers by to tweet support. The gentleman concerned, one Timmy Hurren, does follow the blog on twitter so I can only guess he is reasonably local. If you take a look his own twitter feed there seem to have been numerous such adverts hung on various pieces of civil architecture.